Download iOS 4.0.2 for your iDevice. Download Links are given below. Update to latest firmware via iTunes. 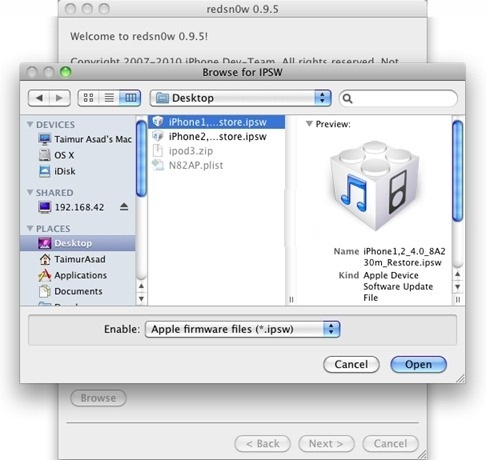 Download Redsn0w(Redsnow) 0.9.5b5-5. Download links given below. 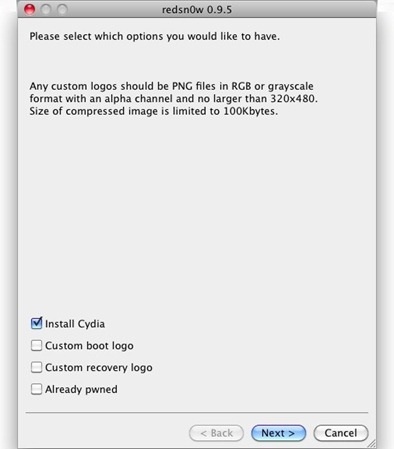 Now select “Install Cydia” and click next. Make sure your iPhone is turned off and connected to computer. 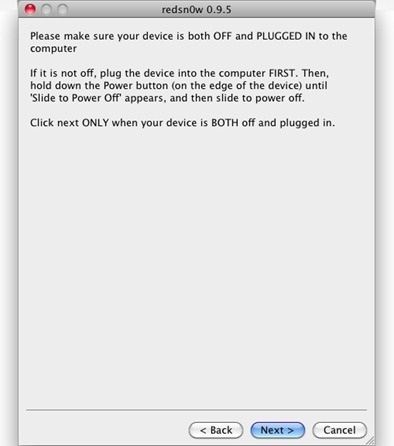 Follow the onscreen instructions to put your iDevice in recovery mode. Redsn0w will now jailbreak your device. Sit back and relax. It may take some time. Conratulations. You now have fully jailbroken iDevice. for 2g can i upgrade 4.0 ???? yes you can. I have done it yesterday. Thanks guys. Worked a charm. hey guys what abt version 4.1 for iphone 3gs ? how can i jail break it? where can i find iOS 4.0 final?? yes but therre is cydia the new app store where you can get all apps for free !! thanku for the direct link .